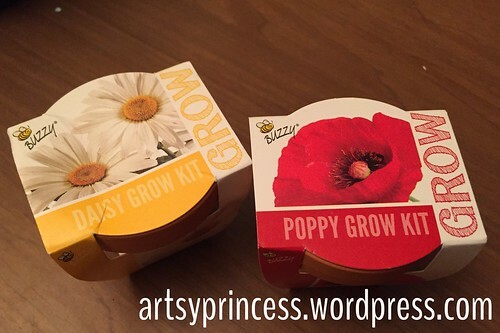 Flowers… | Living life in the carpool lane..
We found flower growing kits at the Target dollar area a week ago. We were still living at the in-laws when we found them. Click here for the back story. Now that we are finally back home, M and I decided to give this little flower growing thing a try. It’s spring, right? The season of growing, right? The directions say to add a tablespoon of water to the growing medium and allow it to absorb the water. Boy, those little pellets really grew. Once hydrated, the filled up the entire flower pot. Then, add no more than five seeds into the pot. I had no clue poppy seeds were as tiny as they were. They were even a bit too tiny for M’s tiny fingers! I think we got enough poppy seeds into the flower pot, we’ll find out if they grow! The daisy seeds were much easier to handle. Once we did all of that, we placed the flower pots outside. I have to double check if the area we placed them gets some sunlight. Silly me, I haven’t had a chance to check if the sun hits the spot we placed them. 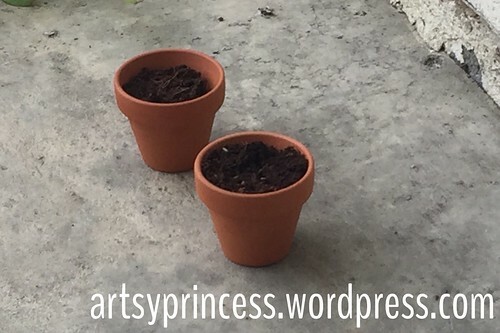 Of course, I forgot to label which pot had daisy seeds and which pot had the poppy seeds. We planted them on Easter Sunday. We’ve been watering the lightly every day since, and so far nothing has happened. Does anyone know how long it takes for these plants to show any signs of growth? How long do I wait before I call it a failure and try again? 1 | Plant update | Living life in the carpool lane..